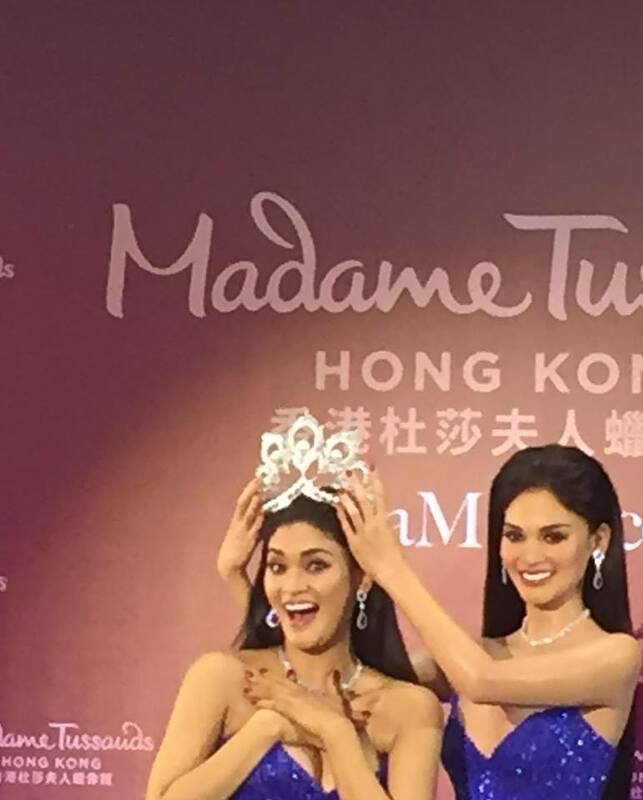 Purple Plum Fairy: Miss Universe 2015 Pia Wurtzbach makes history as the First Ever Filipino Wax Figure at Madame Tussauds Hong Kong! Pia relates that the making process was tedious. She said that getting the measurements right was the most difficult part. "Ït took us more than four hours to get all the measurements done because everything was done manually. You know, from the color of my eyes, we had to step out and come into the light so they can get the color of my eyes right. I didn't get tired because of my adrenaline rush. 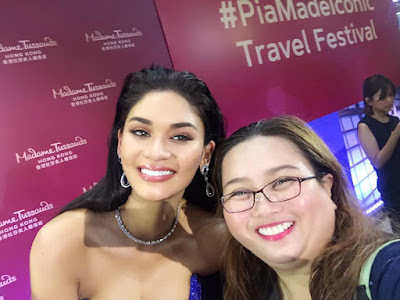 I was pretty excited about the whole thing,"shared Pia. 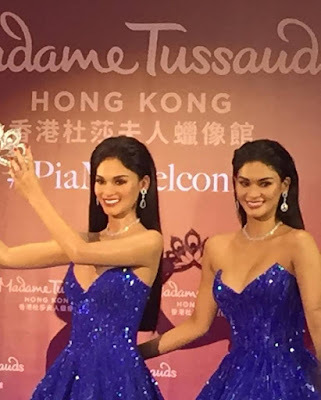 It took the Madame Tussauds Hong Kong Team six months with 20 artists to be able to complete the Pia wax figure. After much discussion on what the figure's final pose would be, it was decided that ut would capture the Miss Universe crowning moment so fans and guests can experience what it's like to be crowned by Pia herself. "We want all of you to experience what it's like to strike your most confidently beautiful pose and receive the crown for yourselves!, "Pia says. 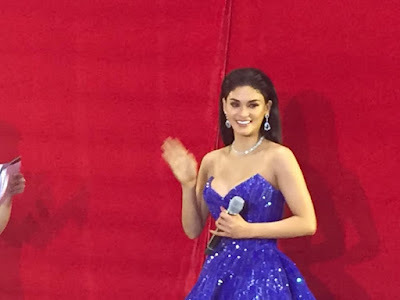 The unveiling of the Pia wax figure was highly anticipated by Filipinos worldwide. The even was even made more historic by the fact that this is the first time a wax figure is being flown to its home country before being brought to its permanent location. 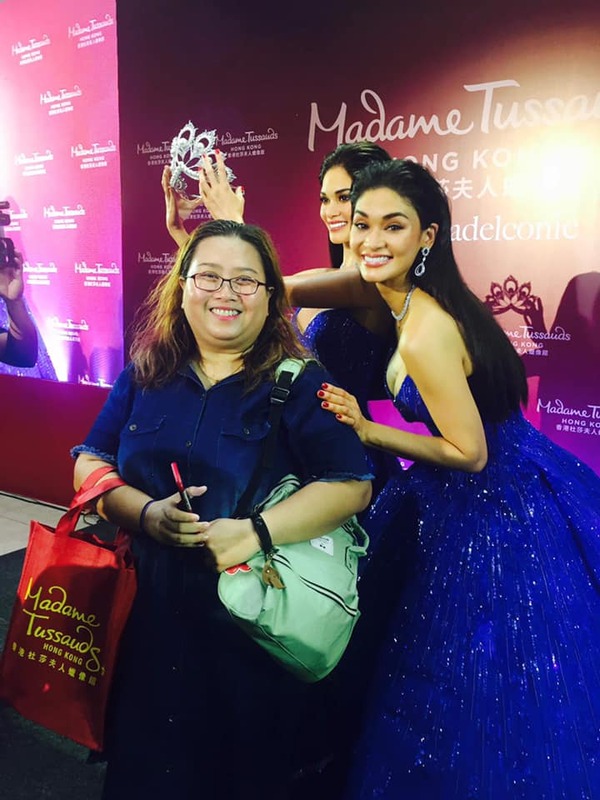 The unveiling was done at the Mega Fashion Hall of the SM Megamall in Mandaluyong City. After the unveiling, the wax icon was brought to Hong Kong and will be joining some of the world's biggest icons at Madame Tussauds which includes Brad Pitt, Angelina Jolie, Michelle Yeoh, Jackie Chan, Bruce Lee and Siwon Choi. 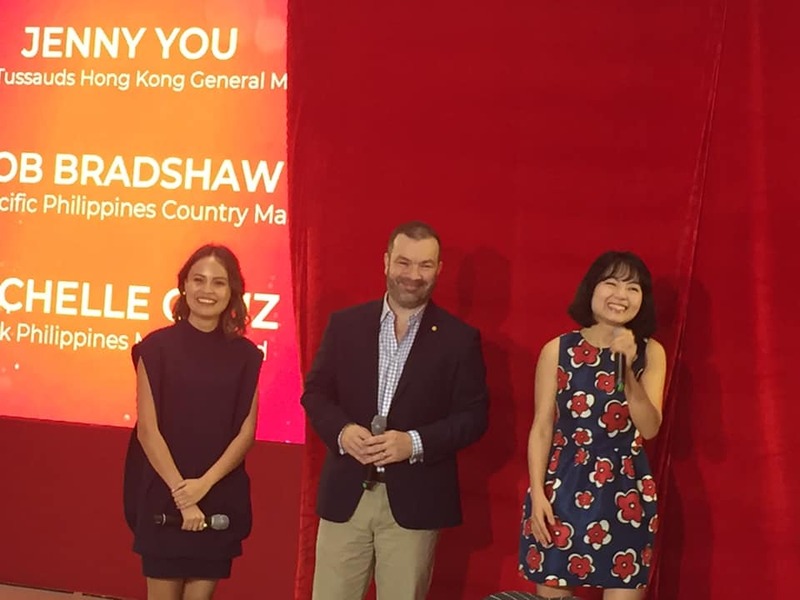 "We can't imagine having anyone but Pis to represent the Philippines in this way,"said Madame Tussauds Hong Kong General Manager Jenny You. 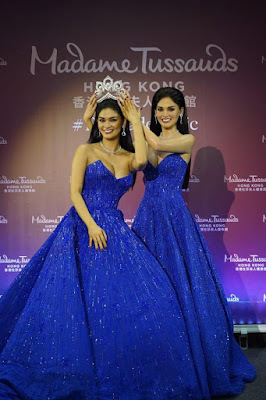 "More than being a queen, Pia has all the makings of an icon and we're proud to be able to house her wax figure at Madame Tussauds Hong Kong for the rest of the world to be able to interact with." Of course, I took advantage of meeting Ms. Pia Wurtzbach as well. She was one of the coolest beauty queens I've ever met. She's the epitome of beauty and truly a Pinay icon. A real trouper, she stayed and tried to accommodate everyone who went to the venue to see her in person. Oh yes, it was a fangirl moment for someone like me. The travel festival where the wax figure was unveiled was a result of the collaboration among three major travel brands namely Cathay pacific, Klook and Madame Tussauds Hong Kong. They come together to provide first-time flyers to Hong Kong awesome travel packages as well as other fun activities. Early birds of the said festival was able to enjoy a limited number of exclusive packages and bundled Cathay Pacific and Madam Tussauds Hong Kong pass redeemable via Kook app. Madame Tussauds Hong Kong is home to immersive and interactive zones that bring to life iconic personalities and cultural land,arks throughout the history, including those in entertainment, sports, science, politics and fashion. 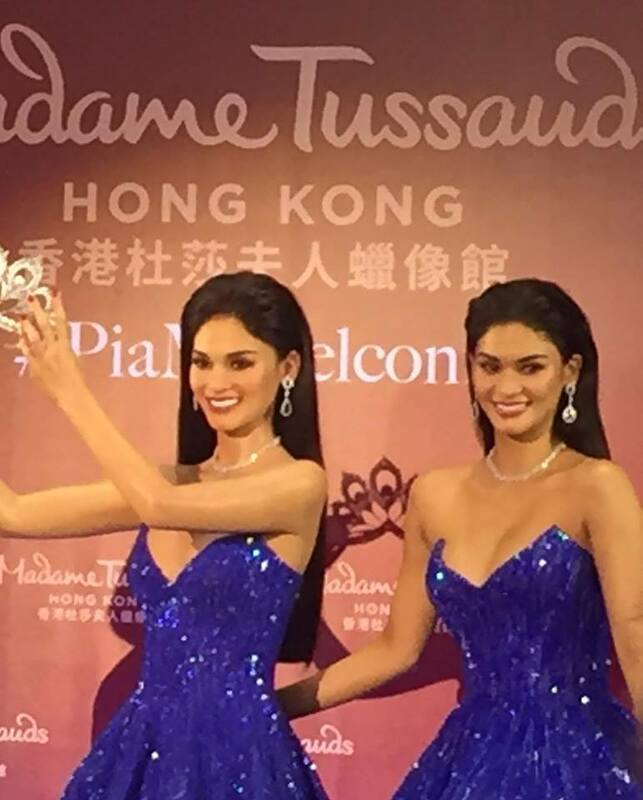 Pia's wax figure will be housed at the fashion zone alongside fashion icon, Jenner Kendall.